We will be performing our new show, Where Rivers Meet: Songs and Stories from Masters of Arabic Music, twice this June as part of the Chicago Park District’s Night Out in the Parks series! Both shows will be free and open to the public. Thanks to several generous small donations from our supporters, we will also be organizing additional free performances of Where Rivers Meet this summer, so stay tuned! April 20, 2018, 10am – Earth Day performance at Old Town School of Folk Music, 4544 N Lincoln Ave, Chicago, IL. Contact Old Town School for ticketing information. Chicago Folklore Ensemble will be performing The World in Chicago as part of Old Town School of Folk Music’s World Music Wednesday Series. Join us Wednesday, June 28, 2017, at 8:30 PM. The World in Chicago, an evening of story and song! Join Chicago Folklore Ensemble for a show of stories and music collected from master musicians from Serbia, Ghana, Jordan, Argentina, and Thailand! This show will celebrate the release of an illustrated book featuring the oral histories of master musicians. From the Serbian mountains of blood and honey to the passionate coasts of Argentina, rattling buses tearing through Thai countryside and back to sweet home Chicago, embark on a journey around the world atop a carpet of music and story. String quartet and storyteller come together to narrate the sights, sounds, and emotions stored in the memories of Chicago immigrant musicians. The Chicago Folklore Ensemble celebrates Chicago’s immigrant communities and helps to share and pass on their stories and music. 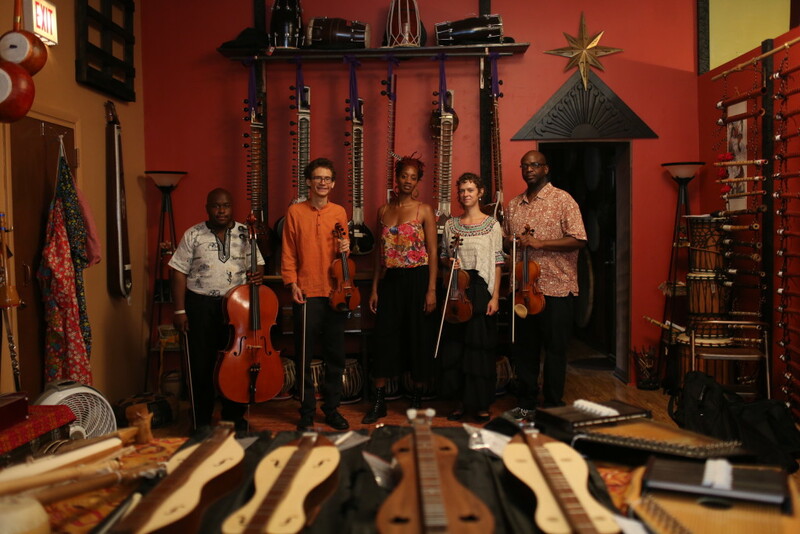 The ensemble interviews musicians of many ethnic backgrounds, collects their traditional music and oral histories, and adapts them into dynamic arrangements for string quartet and storyteller.